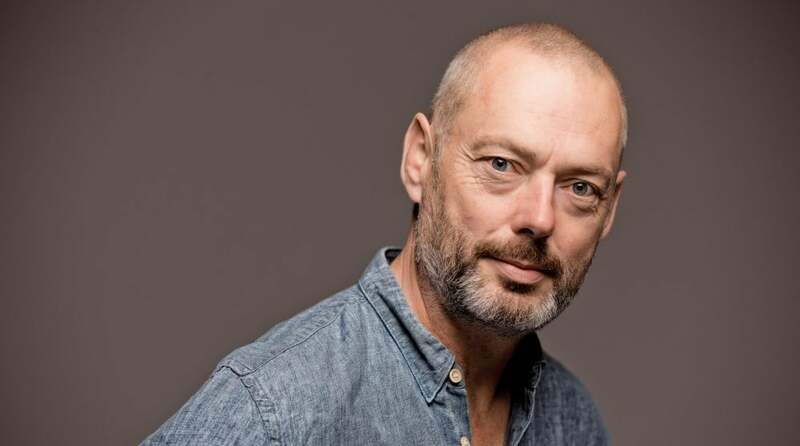 Mark Padmore writes: I have made regular appearances wtih the Orchestra of the Age of Enlightenment with whom I conceived a project exploring Bach’s “St John Passion”, that took place at Aldeburgh and London in 2005 and was given further performances on tour. In 2007 I made my debut with the Philadelphia Orchestra under Simon Rattle. In May 2008 I performed the three Schubert song cycles at the Wigmore Hall becoming their Artist in Residence for the 2009-10 season and in 2011-12 I will repeat the cycles there with Paul Lewis. Recent performances of the cycles have also taken place at the Theatre an der Wien and at Salle Gaveau in Paris with Till Fellner. Opera highlights include the leading role in Harrison Birtwistle’s new opera “The Corridor” with performances at the 2009 Aldeburgh and Bregenz Festivals, as well as the Southbank Centre in London. Future plans include Captain Vere in Britten’s “Billy Budd” for Glyndebourne Festival Opera. Recording highlights include “As Steals the Morn”, a disc of Handel arias with The English Concert and Andrew Manze, released by Harmonia Mundi which won the BBC Music Magazine Vocal Award in April 2008. Other recent include Haydn’s “The Creation” for Deutsche Grammophon, Handel’s “The Messiah” with Colin Davis and the London Symphony Orchestra, Britten’s “Winter Words” with Roger Vignoles and Schubert’s “Die Schöne Müllerin” and “Winterreise” with Paul Lewis, as part of a three cycle series for Harmonia Mundi. The latter has won the Gramophone Vocal Solo Award for 2010. The pianist Julius Drake lives in London and specialises in the field of chamber music, working with many of the world’s leading artists, both in recital and on disc. He appears at all the major music centres: this season concerts take him to the Aldeburgh, Edinburgh, Munich, Schubertiade, and Salzburg Music Festivals; to Carnegie Hall and Lincoln Centre, New York; Concertgebouw, Amsterdam and Philarmonie, Cologne; Châtelet and Musée de Louvre, Paris; La Scala, Milan and Liceu, Barcelona; Musikverein and Konzerthaus, Vienna; and Wigmore Hall and BBC Proms, London. Julius Drake’s many recordings include live recitals for the ‘Wigmore Live’ label, with among other artists Lorraine Hunt Liebersen, Joyce Didonato and Christopher Maltman, an award winning recordings with Ian Bostridge for EMI and his recent widely acclaimed series with Gerald Finley for Hyperion, for which Barber Songs and then Schuman Heine Lieder have won both the 2008 and 2009 Gramophone Awards. Julius Drake now embarks on a major project for Hyperion to record the complete songs of Franz Liszt. Recent and coming highlights in Julius Drake’s schedule include recitals in Madrid, Brussels and New York with Gerald Finley; in Moscow, Oslo and at the Schwetzingen Festival with Dorothea Röschmann; at La Fenice Venice, La Scala Milan and the Schubertiade Festival with Ian Bostridge; instrumental chamber music at the festivals of Delft, West Cork and Oxford; new recordings of Liszt with Angelika Kirchschlager, Shostakovitch with Christianne Stotijn and Schumann with Gerald Finley; performances of Janacek’s Zápisník zmizelého (“The Diary of One Who Disappeared”) in London, Stuttgart and Vienna with Christianne Stotijn and Mark Padmore; recitals in Bern and London with Christoph Pregardien; and four concerts, presenting the complete Mörike and Goethe Songbooks of Hugo Wolf, at London’s Wigmore Hall.